Chen Zhanhui, one of the co-curators of the ongoing exhibition Beyond Architecture, summarizes the shared characteristic of the featured architects with the Chinese proverb bu wu zheng ye, which is usually used to describe people who neglect their proper duties. 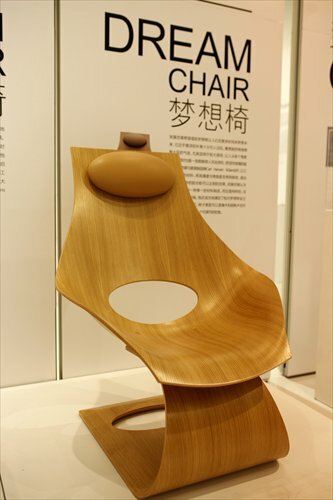 As Chen's tongue-in-cheek comment and the event's title suggests, the exhibition is a collection of all manner of designs - except for architecture - by a group of renowned architects. Initiated by Time + Architecture magazine and architectural design firm MADA s.p.a.m., the exhibition, held at the newly opened China Building Center (CBC) Architects Art Center in Zhabei district, presents a range of exhibits, from charcoal drawings to ink and wash paintings, furniture to kitchenware, accessories to art installations. Works by more than 80 architects from China and abroad are included in the exhibition, including Japan's Tadao Ando and Masayuki Kurokawa, Denmark's Finn Jurl and Arne Jacobsen and China's Liu Kecheng and Wang Xiaohui. Chen, who is also an architect and a managing partner of MADA s.p.a.m., explained that regardless of an architect's experience, creativity or ability, these forays into other creative outlets somehow lead to a burst of critical and creative thinking in their architecture. "As the architectural profession has developed over time, its long-standing relationship with society, life and art has become obscured, and society's impression of the occupation is largely limited to only physical structures," said Chen. Among the featured architects, Wang Yan of Shanghai-based Architects Ring, presents a series of charcoal drawings of his 13-day-old baby at the exhibition, revealing a tender, sensitive side of an architect. Zhang Jiajing, the chief architect of Gom Architecture, also based in Shanghai, who has become a well-known public figure thanks to his best-selling book, gave a guitar performance at the exhibition's opening ceremony. 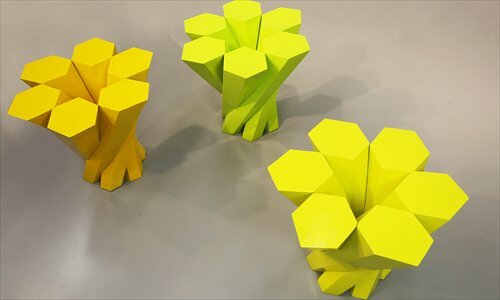 Besides Tadao Ando's famous Dream Chair, which he designed to pay tribute to the renowned furniture designer Hans J. Wegner, visitors can also see the vibrant-colored flower-shaped stools presented by Shanghai-based architect Chen Xudong. 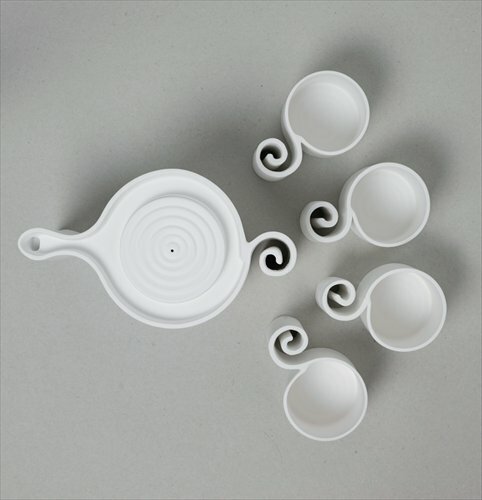 Meanwhile, Cao Xiaoxin, who works with China Architecture Design & Research Group in Beijing, showcases a series of dreamlike tea ware at the exhibition. Chen Xudong said that architects work in much the same way as artists, though they work with different media. To break free from the rigidity of architectural design and engage in other creative projects is an effective way for him to change his environment and reward himself with creative freedom. Cao said that he doesn't regard these "additional" creations as "beyond architecture" but rather as necessities for architects in contemporary life. "This exhibition also functions as a reminder for Chinese architects that we should become familiar with the whole industry of architecture, which includes knowledge of materials, craftsmanship and interior design as well," he added.